Framing is a necessary and skilled trade that is not well known by the general public, yet it is required for every structure we live in. Whether they’re making sure that the joints of the building fit together well, or it they’re determining the structural safety of a newly constructed building, there are ample responsibilities that framing contractors have. Any negligence when overseeing these responsibilities can result in accidents or shoddy workmanship. For high-risk contracting jobs such as framing, it’s undeniable that accidents happen whether professionals want them to or not. Sometimes, the framing company is considered at fault for the accident that has occurred. Should that happen, having the right liability insurance can prevent a small business like a framing company from entering into a long period of financial difficulty, if not complete liquidation. The liability insurance field has consistently evolved from one likeness to another over the past few decades. One development that has benefited policyholders has been the creation of specialty policies for high-risk industries like construction. Small Business Liability is one such insurance company that promises focused, all-encompassing coverage for framing businesses, as well as the independent contractors who are qualified to do it. What is General Liability Insurance and Why do Framers Need it? If you or your company is deemed at fault for an accident on the job, you are legally required to cover the damages. Because damages often cost more than companies can pay out of pocket, liability insurance covers those costs when you need them covered. Everyone wants their company to be the safest option out there, but accidents happen to businesses who are proven to be the safest nonetheless. Small Business Liability works with your framing company to make sure that you are both complying with the law and getting the most for your money. If you can’t always prevent accidents, you can always prepare for them with a general liability insurance policy at your disposal. 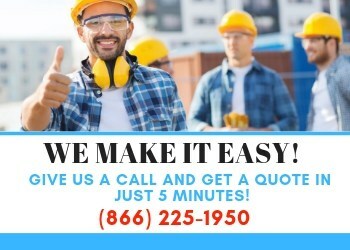 Why Choose Small Business Liability for Your Carpentry Business? Small Business Liability has years’ worth of experience covering trades like framing. Because we empathize, support, and place trust in our clients, we can give them the success they want with the security they need. For more information, or to get started with a quote, contact us today!